Watch full Ginga Eiyuu Densetsu Season 3 Episode 3 English Subbed full HD online. Ginga Eiyuu Densetsu Episode 57 English Subbed online for free in HD. The KÃ¼nmel Incident. Emperor Reinhard announces his new cabinet. Through a personal favor to Hildegard’s father, the new secretary of state, Reinhard agrees to visit KÃ¼nmel. During the lunch, it is revealed that KÃ¼nmel and the Earth cult had placed explosives under the court. TrÃ¼niht leaks information to the chief of ministry police Kesler; an assassination attempt is planned on Reinhard. The Earth cultists around Odin are attacked in full force by the military police. 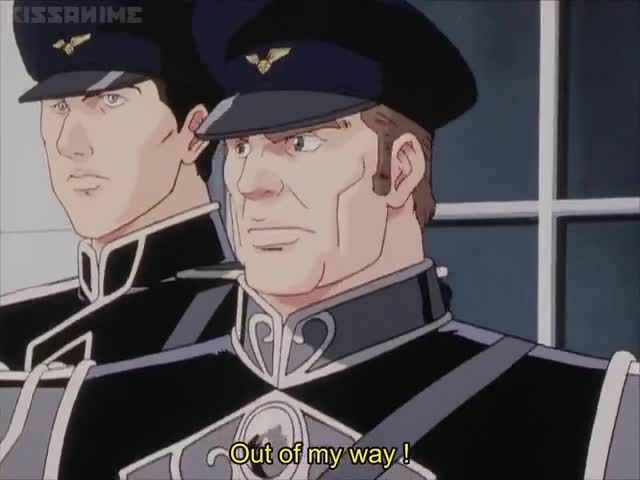 Reinhard disables the trigger, via KÃ¼nmel complacency. The Mariendorfs are put under house arrest. July 10, 799 S.C. / 1 N.I.C. : Julian crew arrives on Earth, that same day the Empire decides to suppress Earth by force.